Our pioneering efforts to develop innovative arts-in-education programs have equipped Dallas-area schools with a powerful resource. The Student Matinee Performance Series offers excellent materials for teachers and students. To supplement the performance, we offer study guides and other educational materials through our website, drama workshops in the theater, and backstage tours. Curtains Up on Reading brings artists and educators together in the classroom, integrating drama, dance, music, and art into grade-level curriculum. Our After School Drama Classes have been developed on twenty campuses. We also enjoy close collaboration with the Dallas Public Libraries, providing local performances and tickets in conjunction with the Mayor's Summer Reading Program. To date, forty percent of the theaters operating budget is dedicated exclusively to this kind of educational programming and outreach. 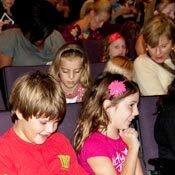 Each year, Dallas Children's Theater proudly provides up to 10,000 free and significantly reduced tickets to children who would not otherwise get the opportunity to enjoy professional live theater and reap the brain stimulation benefit of this experience. 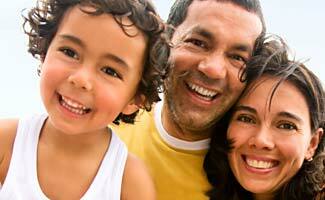 We serve a metropolitan area rich in cultural diversity. In producing arts and education for a varied population, our theater is a burgeoning asset to the community. Families from every socio-economic and cultural background are now afforded access to the arts. Because our programming is quite extensive, Dallas Children's Theater brings theater to surrounding communities in more rural areas with limited resources. Dallas Children's Theater was founded in 1984 by Robyn Flatt and Dennis Vincent, in response to the growing need for professional family theater. A 501(c) 3 non-profit organization, we are a forum for artistic collaboration, a vital educational resource for metropolitan schools, and a vehicle of enrichment for the greater Dallas community. With a multi-million-dollar budget and a national audience, Dallas Children's Theater is the largest professional family theater in the Southwest. We offer a season of eleven productions in our newly renovated Rosewood Center for Family Arts, as well as a national touring company, theater academy, and arts-in-education programs for local schools. We envision a world where young people, having been astonished, delighted and challenged by the transformational experience of theater, are inspired to creatively contribute to the vibrancy of their communities. The mission of Dallas Children's Theater is to inspire young people to creative and productive lives through the art of theater. Builds bridges of understanding between generations and cultures through the timeless and universal voice and language of theater's multisensory approach. Offers performing arts classes and experiences on a year round basis. Theatrical Passion: By providing a home base for artists, Dallas Children’s Theater creates powerful live theater to expose children, families, educators and community members to both classic and contemporary works. Dallas Children’s Theater dedicates its resources to elevating the field on a local as well as national level. Commitment to Staff: Dallas Children’s Theater is committed to providing staff with wages and benefits that recognize their contribution to the organization’s overall success and regularly evaluates these decisions equally alongside other budgetary priorities. Inspiring Creativity: Dallas Children’s Theater believes every child is unique and has something valuable to contribute to society. We help them embrace creativity as an intrinsic part of life, inspiring them to imaginative and rewarding lives. Innovative Leadership: Dallas Children’s Theater uses its art form to present issues facing today’s youth and supplements dramatic performances with workshops and events featuring leading experts in education, arts and health to ignite enlightening and powerful conversation. Reaching Out: Dallas Children’s Theater believes all children, families and members in the education community deserve the opportunity to experience live theater and its powerful effects; especially those who might consider cost a barrier. Arts and Community: Dallas Children’s Theater believes that the collective arts are a critical part of where we all live, work and play and is therefore committed to taking on new challenges and collaborating with our peers to use the arts to make a positive impact in our community—both today and in the future. Diversity and Inclusion: DCT is committed to the kind of excellence in theater arts programming that challenges and inspires young people from every race, culture, gender, social class, ability and sexual orientation to develop their unique creative talents and individual perspectives in order to contribute to a more pluralistic and peaceful world. DCT promotes equity, diversity, and inclusion in all areas of the institution, including its programming, board and staff. You can become part of our rich history and our exciting future.